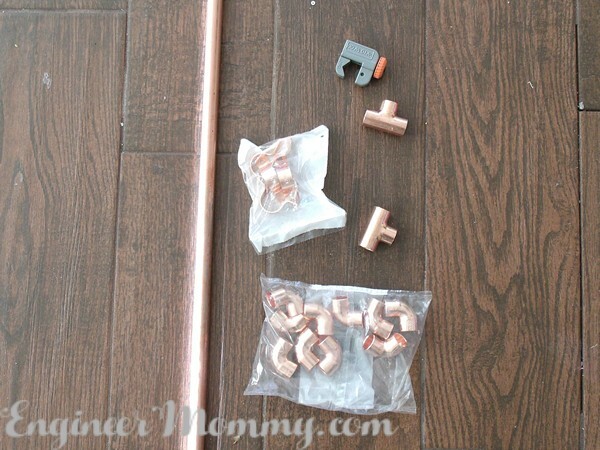 Copper is everywhere these days. A quick walk around a home decor store these days and you’ll come across plenty of copper decor pieces: everything from vases to frames to figurines! 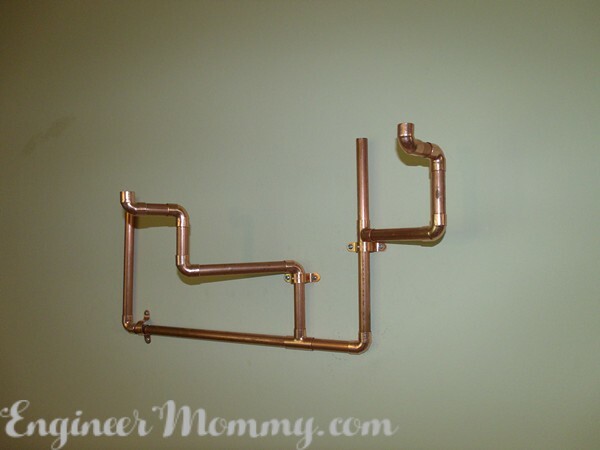 As a chemical engineer myself, I have some familiarity with pipes, but really, this tutorial is so simple & the supplies are so readily available that anyone can make this DIY Wall-Mounted Copper Pipe Planter! 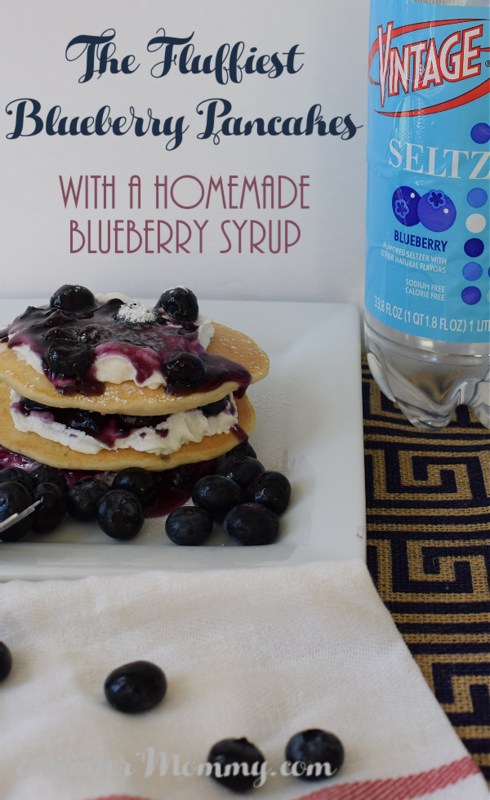 Take a look at it! What do you think? 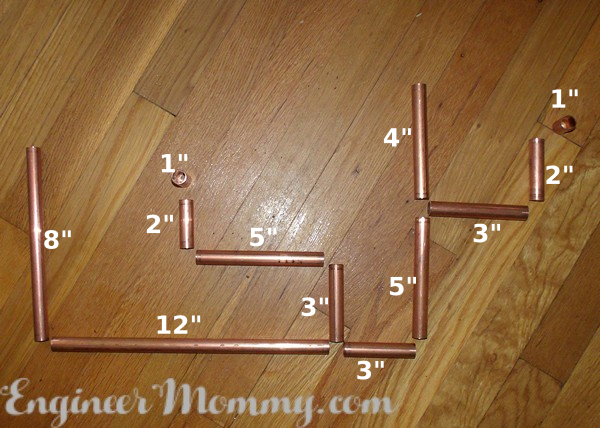 Take a look at the picture below to see how to assemble this copper pipe planter. 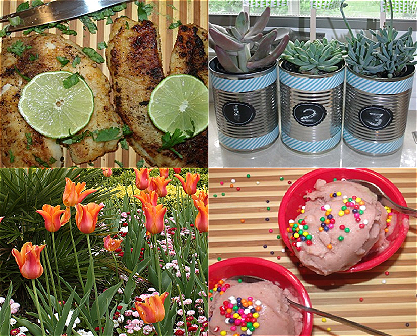 I labeled a few of the lengths to (hopefully) elucidate where each piece goes! Feel free to let me know if you have any specific questions. 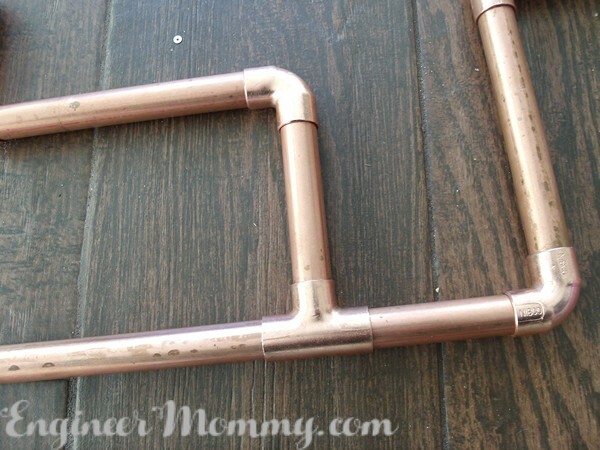 Since all the pipe lengths and fittings are 1/2″, all the joints should fit together snugly. I didn’t add any extra glue or plumbing compounds. 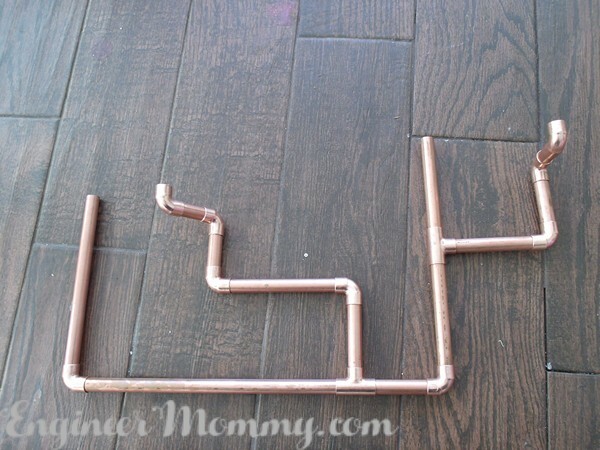 Have you made anything for your home with copper pipe? 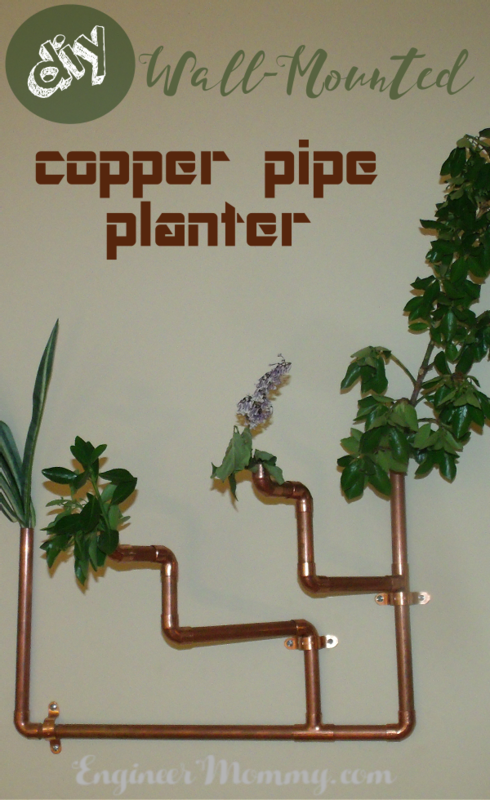 Love that your planter is copper, your planter is ingenious. 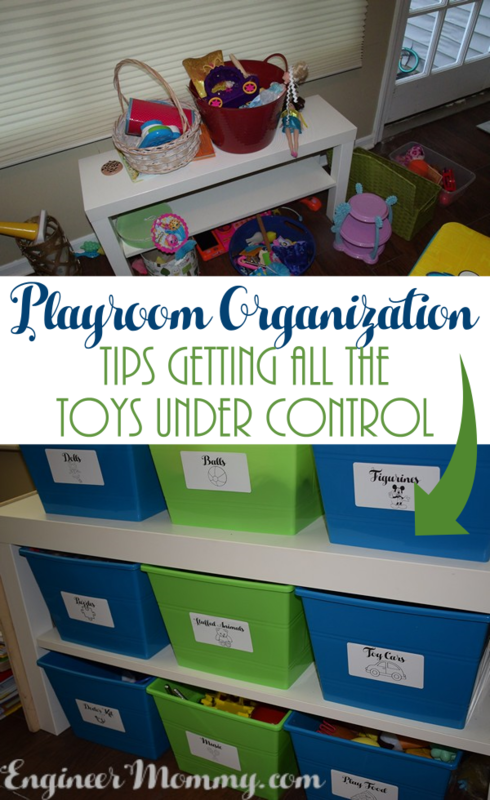 How clever are you and what an awesome idea, Love that it’s so different. One of our grandsons is at college in Lexington, KY to be chemical engineer, he’ll be junior this year. He is there on full ride scholarship with 2more yr. scholarship at Louisville university for his masters. Next summer will go to Spain on special 6 month project about energy. He’s been on deans list both years. still trying to figure out where this kid came from, so smart. Have grand daughter going to college to be special needs teacher also on good scholarship. As you can tell am so very proud of both, great young man people, sweet and loving, responsible. We got to see grandson couple weeks ago at his Dad’s in San Diego for summer visit. Hadn’t seen him&brother for 6 yrs. since they came here for visit. He’s hoping to work possibly at Scripps institute in San Diego when he’s thru with school. Aww you definitely sound like a proud grandma! That’s so sweet. And it definitely sounds like the grandkids are high achievers! 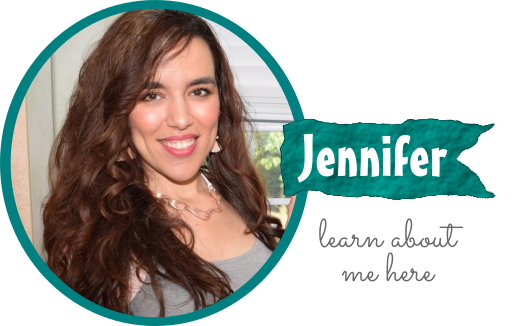 Thanks for your comment, JaneEllen! Thanks so much, Mari! Yes, I totally love the unique, unexpected look of this planter! I love what you did!!! 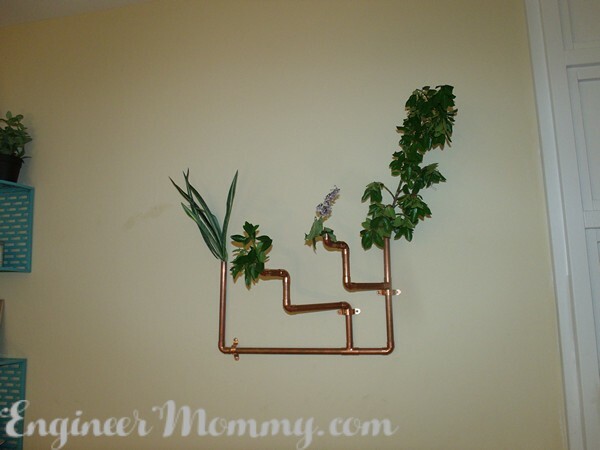 Copper pipes and a planter – the best combo of all the things I love.